There are many different ways to find extra savings on almost all the things that we buy or services that we use. Some of the ways are more common than others, for example, using clipped or printed coupons to cut prices on food. Using online coupon codes is also a common way online shoppers save on purchases. There are also common ways that we find the extra savings. Most everyone knows that coupons can be found in newspapers, magazines and online. Online shoppers turn to websites known for being coupon aggregators. Mobile shoppers use coupon apps. But what happens when we can't find a coupon or a way to get a discount? The answer depends on how much you want to save money. Some people give up searching for a coupon after a few failed attempts to find one. Others prefer to exhaust every possible way to find savings. For the non-giver-uppers, here are 10 uncommon ways to find coupons and discounts. 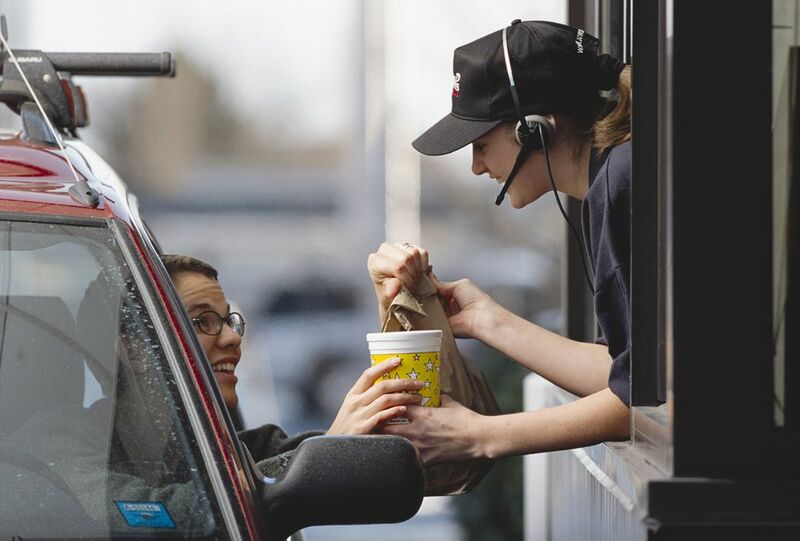 The next time you order food from a fast food restaurant, take a second to check out your receipt before you toss it. Many of the fast food restaurant chains offer money-saving coupons on customers' register receipts. The offers are time sensitive and expire quickly. It is easy to miss the coupon offers, which is too bad because most of the time it is for a lot more than just a free drink. Also, coupons for free food are often rewarded to customers willing to complete simple online surveys rating their experience at the establishment. Many of the McDonald's restaurants issue receipts with a coupon for a free Quarter Pounder with Cheese with any large drink purchase. To get the validation code, an online survey must be completed within seven days from the date on the receipt. You then have 30 days to use the coupon. Grocery store chains are also known to entice customers to complete surveys with various rewards offered, including free entries into contests and dollar-off store coupons that can be applied to the total purchase (a favorite among couponers). Never has there been a time when so many credit card companies offer pretty amazing rewards programs, but it is only amazing if you work it, and not let the cards work you. To get involved in trying to come out financially ahead of the game by reaping the rewards of using your credit cards take a lot of self-control. There is only one real trick to the game, and that is that you must pay off the credit card balance each month. If you have that kind of control over your spending, then you will be able to turn your spending into a profit. Choose the right card based on your spending. Compare programs. Avoid annual fees. Read the small print. Know the exact amount that you can put onto your credit card each month by creating a budget. Remember, this only works if you pay off your cards each month. Closely monitor your credit card charges throughout the month to make certain you do not overspend. When you charge a purchase or expense, immediately subtract it out of your checking account. Avoid waiting until you are close to the due date to make payments to your credit cards. Instead, designate a specific day to send in a payment covering all of the charges you accumulated during the week. This way you will never fall into the trap of late payment fees and interest charges. Consider using a designated card for big expenses that will take longer than a month to pay off, but be sure to include what you are paying into your monthly budget. If you begin to lose track, stop charging and assess your finances. Regain full control before you start again. Remember when we used to let our fingers do the walking? Well, we still can. The phone book is a forgotten source for finding money-saving coupons for local businesses. Most all phone books have a coupon section in the middle or back of the book. It is usually divided into categories including restaurants, local retailers, and services. If you have not looked at your phone book for coupons, check it out. Cashback websites give you back cash based on your purchases. For example, if you wanted a sweater that you saw at Macys.com, you would either pay the ticket price listed on the Macy's website, or go to a cashback website where you pay the ticket price, but then receive 5 percent back. While this may not sound like a tremendous amount of savings if you look at only doing it one time, over a year's time it can add up, especially if you couple it with other saving strategies. Cash-back sites make commissions off of any purchases made through the website. Shoppers then get back a small percentage of how much they paid. If you decide to give cash-back websites a try, be sure to take a look at our article Smart Ways to Use Cash-Back Websites. There are discounts offered by retailers, restaurants, travel and other services to groups of people including senior citizens, the military, teachers, and students. There are also retailers and restaurants that offer free "birthday" discounts and perks. Malls and outlet centers like Premium Outlet Malls and Tanger Outlets also offer discounts to the military and some malls will run promotions with special discounts and coupons for students and teachers during the back-to-school season. Service companies, such as air conditioning and heating companies, offer discounts to special groups. Many of the companies that belong to Angie's List advertise senior and military discounts. Student discounts are abundant and available in many categories including travel, entertainment, restaurants and retail stores. Student unions are also an excellent source for finding coupons that you may not find elsewhere. Buy-one-get-one-free restaurant coupons are popular. Students will buddy up and split the price of the restaurant bill. Specialty discounts and coupons are generally ongoing, meaning that the offer is always available. Generally, most businesses have policies about only giving the special discounts when customers request it. That is why it always pays to ask if there is a special discount available. Almost all national pharmacies offer reward programs to customers purchasing drug prescriptions. The rewards (or points) can be used on almost anything in the stores, even on other products that also offer rewards. CVS Pharmacy offers $5 ExtraBucks Rewards every time you fill 10 prescriptions (up to $50). Walgreens offers 100 Balance Rewards Points (up to 10,000 per year) on all prescriptions in most states. Rite-aid offers a similar program. Also, check out the advertisements that are placed on pharmacy counters. Many times the ads have coupons. If you have been holding out on using your mobile phone to receive promotional advertisements from stores where you regularly shop, then you are probably missing out on a lot of savings. Retail stores, department stores, grocery stores, restaurants, hotels, airlines, car rental agencies, movie rental kiosks, and even car washes, have a lot of coupons that are exclusive to the company's mobile phone subscribers. That means that you could be checking out next to someone who has your same order, but their order was $20 cheaper than yours because they have an exclusive mobile coupon and you do not. Ouch! There is also the added convenience, depending on your phone, that all that is required if you have a store's app is that you scan your phone when you check out, and every possible coupon that applies to your purchase is subtracted from your bill. It is a simple, fast and an accurate way to get the discounts. Most national and many local clubs have discounts available to members. Smaller clubs often have discounts that are specific to what the club is about, for example, a garden club might receive special discounts from local the local nursery. Clubs like the American Automobile Association (AAA) and Association of Retired Persons commonly referred to as AARP, offer member discounts, and rewards programs, covering a broad range of categories including retail, restaurant, travel, entertainment, insurance and service companies. AAA has a rewards program called WOWPoints that works just like the cash back websites. By shopping WOWPoints offers, you can earn $1 for each 100 WOWPoints. You can earn multiple (up to 15 WOWPoints) for every dollar you spend on designated WOWPoints offers. AARP offers exclusive members-only discounts. The next time that you shop online, select the items that you want to purchase and put them into the virtual shopping cart, go through each checkout step except for the last step for finalizing the transaction, then close your browser window and wait. This is what is called an "abandoned shopping cart" and it drives online retailers a little crazy. To try to get shoppers to come back and complete their purchases, some online retailers are set up to send out coupons automatically via email. Log-In Is Required ​—​​ This will only work if you log in on the site before you begin checking out. It is the only way the retailer will know your email address. This is when having an email account just for collecting coupons and discounts can come in handy. Beware of Links —​​ If you visit an online store through a link on a search engine like Google, or through another website, for example, a website promoting online coupons, then the online retail store will likely have to pay a percentage of your purchase to the website. This could disqualify you from receiving an email. Using a direct link that you type into your browser will up your chances of receiving a coupon after you abandon your shopping cart. A trend at many of retail chains is to put coupon holders on the inside of the bathroom stalls. It might seem like an odd place to entice shoppers with coupons, but when you think about it, what else is there to do but grab something to read? The first coupon was distributed in 1887 by Atlanta businessman Asa Candler who gave out hand-written coupons offering customers a free Coca-Cola. Over 130 years later, shoppers can look at their mobile devices to find coupons, the best sales, and other money-saving information within seconds. But for many shoppers, a combination of the older methods like clipping coupons with the newer methods of downloading mobile apps, provides the very best insurance that they are getting the lowest prices on everything that they buy.